By Jim Radogna. Two recent actions for alleged dealer fee violations in South Carolina and Indiana are a potential cause for concern in other states due to the likelihood of copycat legal actions. While these states had no caps on dealer fees, a private lawsuit in South Carolina resulted in a $3.6 million verdict and an attorney general action in Indiana resulted in a $625K settlement. Both cases alleged that the dealers overcharged customers because their fees did not reflect expenses actually incurred by the dealers for services. According to a press release from the office of Indiana attorney general “Under Indiana’s Motor Vehicle Dealer Unfair Practices Act, auto dealers cannot require a motor vehicle purchaser to pay a document preparation fee unless the fee reflects expenses actually incurred for the preparation of documents and was negotiated by and disclosed to the customer.” The dealer was found to have charged doc fees around $479, which the AG ruled was higher than could be justified to cover costs. •	The court emphasized that a “closing fee” is not limited to expenses incurred for document preparation, retrieval, and storage. However, any costs sought to be recovered by a dealer under a closing fee charge must be directly related to the services rendered and expenses incurred in closing the purchase of a vehicle. 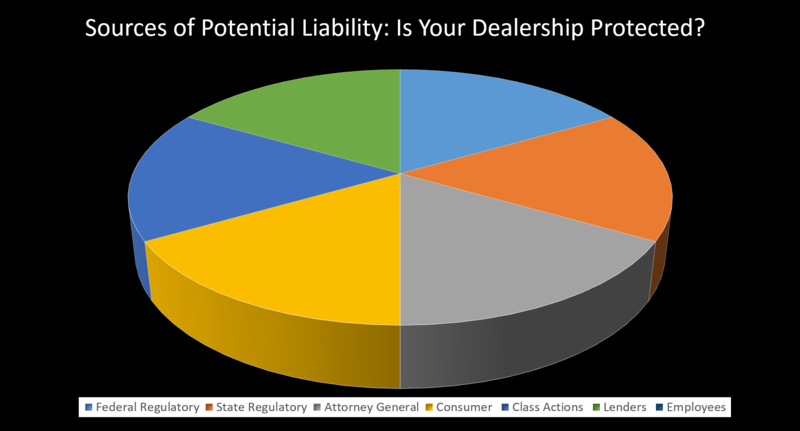 Given that each vehicle purchase is different, compliance with the “Closing Fee” Statute does not require that the dealer hit the “bull’s-eye” for each purchase. A dealer may comply with the statute by setting a closing fee in an amount that is an average of the costs actually incurred in all closings of the prior year. 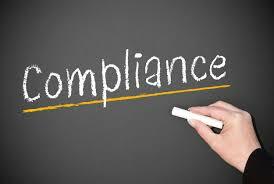 * Some states prohibit the inclusion of fees to process loan documents in the dealer fee. TILA Disclosures – Other lawsuits have claimed that the dealer fee is a finance charge for federal Truth in Lending Act (TILA) disclosure purposes. To avoid this, it’s important to also charge dealer fees on comparable cash transactions. Since you obviously wouldn’t incur credit-related costs listed above on cash transactions, the SC court’s suggested method of averaging the costs in all closings of the prior year would appear to be beneficial. Negotiation of Dealer Fees – Although a number of state regulations indicate that dealer fees must be negotiated with customers, this raises concerns about potential discrimination claims. The reasoning is that if a dealership charges one customer a fee of any kind they have to charge everyone the same fee, or they open themselves up to a lawsuit. Another fear is that charging a different dealer fee to different customers is “illegal”. This does not appear to be the case unless state law specifically prohibits dealerships from charging any customer a different doc fee amount than any other customer. The only state of which I’m aware that has such a prohibition is West Virginia. In a 2014 case brought by the West Virginia Automobile & Truck Dealers Association against Ford Motor Company, the court disagreed that charging different doc fees is prohibited by West Virginia Consumer Credit and Protection Act, but agreed that guidance from the West Virginia Motor Vehicle Dealers Advisory Board prohibits dealerships from charging any customer a higher doc fee than any other customer. (Arguably, this is not a violation of WV law and thus not “illegal” per se, but simply guidance from the WVMVDAB who’s “statutory purpose is to assist and to advise the Commissioner of the Division of Motor Vehicles on the administration of laws regulating the motor vehicle industry; to work with the commissioner in developing new laws, rules or policies regarding the motor vehicles industry; and to give the commissioner such further advice and assistance as he or she may from time to time require.” Regardless, WV dealers are bound to follow the Dealer Advisory Board’s directions). So the easy answer is to just charge everyone the same doc fee, right? Perhaps. But here’s the rub: Conveyance/Processing fees are dealer-imposed charges and therefore not mandatory – only government fees are compulsory. So it is improper to tell a customer that you MUST charge them the fee – this could lead to a deceptive practices claim. So how do you avoid potential discrimination claims? By being able to show proof that any downward deviations in fees are for valid business reasons. 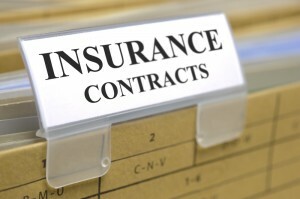 For example, if a manufacturer limits the doc fee for an employee purchase, that reason should be documented in writing and a copy kept in the deal jacket. 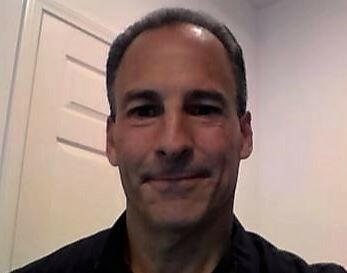 Another example would be that a competitive dealer offered a lower doc fee that you needed to match to make the deal. Again, documentation is key. This follows the same line of reasoning as NADA’s Fair Credit Compliance Program for rate markups. By Greg Johnson. 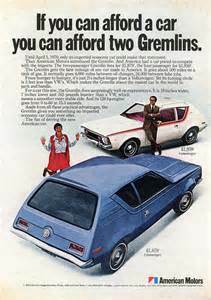 I remember when my dad sold AMC Gremlins for $1,999 in the early 1970’s. Yes, I grew up with Hornets, Javelins, Matadors, Pacers and Gremlins — probably the most bizarre car line ever produced in America, or anywhere else for that matter. (I was called “Gremlin Greg” when I was a kid. I guess I had kinda pointy ears). Fortunately, my dad also had the Jeep line. The Gremlin was introduced on April 1, 1970 and a red Gremlin was featured on the April 6, 1970 cover of Newsweek magazine for an article, “Detroit Fights Back: The Gremlin”. The “base” two-passenger version (no rear seat and a fixed rear window) had a MSRP of $1,879 and the four-seat hatchback (with opening rear window) listed for $1,959. In 2015, the average price of a new car sold in the U.S. was $33,560, according to Kelly Blue Book (see Kelly Blue Book, Average New Car Transaction Prices Rise Steadily, Up 2.6% in April 2015 (May 1, 2015)) while the average price of a used car was $20,057. See Used Car Prices Hold Up in Strong New-Vehicle Market), J.D. Power (Sept. 8, 2015). Used cars available from independent dealers and from “buy here pay here” dealers were lower in price. In 2014, over 42% of cars sold by independent dealers had an average sales price of $5,000 – $10,000; the average cost of cars at “buy here pay here” dealers was $7,150. See 2015 NIADA Used Car Industry Report, at 6 and 16. On a much more upbeat note, anyone can buy the dilapidated, tax-foreclosed former American Motors headquarters in Detroit for $500 — provided they also pay the back taxes of around $240,000. (See, The Detroit News, “Wayne County voids $500 sale of former AMC headquarters” (October 26, 2015)). Perhaps some young automotive entrepreneur will fix up the place and bring back the Gremlin!! Nah. PS: If sold today, the Gremlin would retail for around $11,500 in 2015 dollars. This blog is for informational purposes only. By reading it, no attorney-client relationship is formed. The law is constantly changing and if you want legal advice, please consult an attorney. Gregory J. Johnson ©All rights reserved. 2016. The Bad News.By Greg Johnson. At a recent Consumer Financial Protection Bureau field hearing in Denver, the CFPB revealed a proposal to eliminate the use of class action waivers in consumer finance contracts. Many retail installment sales contracts require arbitration for consumer disputes and also contain a waiver against class actions. 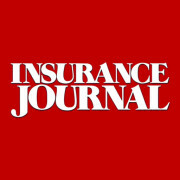 This is unfavorable news for dealers, particularly in California, where there has been a recent flood of consumer class action credit litigation and the industry recently obtained a favorable ruling from the California Supreme Court, Sanchez v. Valencia Holding Company, LLC, 353 P.3d 741 (Cal. 2015), holding that arbitration clauses with a class action waiver were valid. The Good News. The House Financial Services Committee passed H.R. 1266 by a vote of by 35 to 24, which would replace the CFPB’s sole director with a bipartisan, five-member Commission. The Committee also passed H.R. 957, which would create an independent, Senate-confirmed inspector general for the CFPB. This passed 56 to 3. At present, it is unknown if and when these bills will be considered by the full House. 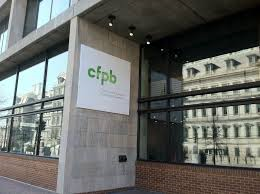 With a change in the structure of the CFPB and legislative oversight, the CFPB’s anti-class action waiver proposal, like many CFBP proposals, would be less likely to gain traction. Time will tell.